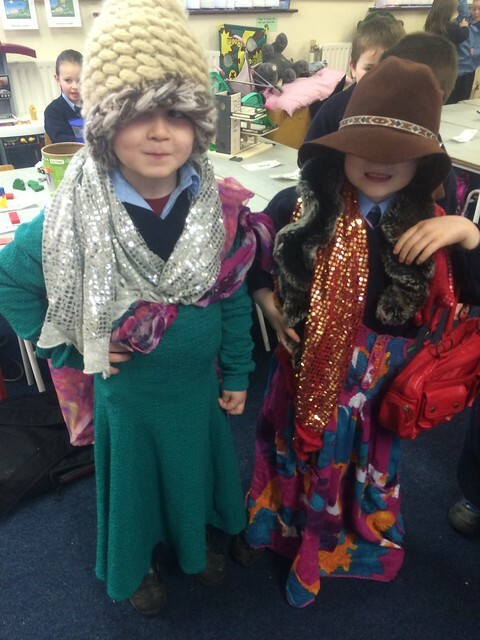 For January, our Aistear theme is ‘The Clothes Store’. The children have created their own small shop, which currently stocks a large selection of scarves and hats and well as dresses, jumpers and other accessories. As it is January, they decided that many of their items are on sale. They have been taking turns being the shopkeepers but also offer a personal shopping experience if you are unsure what exactly would best suit you. They have been enjoying trying on all of their outfits when the shop isn’t too busy.